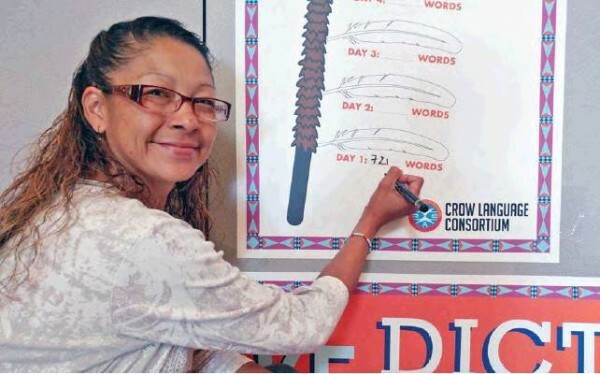 The Crow Language Consortium, The Language Conservancy and Little Big Horn College have come together to create a new Crow language dictionary. Local residents involved include Roanne Hill, Dr. Janine Pease, Tim McCleary and Fr. Randy Graczyk – all members of the Consortium. The Language Conservancy program already has worked with another tribe, the Acoma Pueblo, in New Mexico. With this tribe, they transcribed more than 10,000 words and placed them into a dictionary that showcased the tribe’s Acoma-Keres language. On the Crow Reservation, the Conservancy hopes to have the same amount of success. Check out the full length article on the Big Horn County News website.